Danielle Smith didn’t begin her career like most safety professionals. Originally interested in business, Danielle received her bachelor’s in International Business from Tiffin University so that she could work in her mother’s insurance business. Ten years later, she felt an itch for change. Nearly everyone in her family pursued a career in the sciences, so she decided to go back to school for a Master’s Degree in Environmental, Health, and Safety from the University of Findlay. 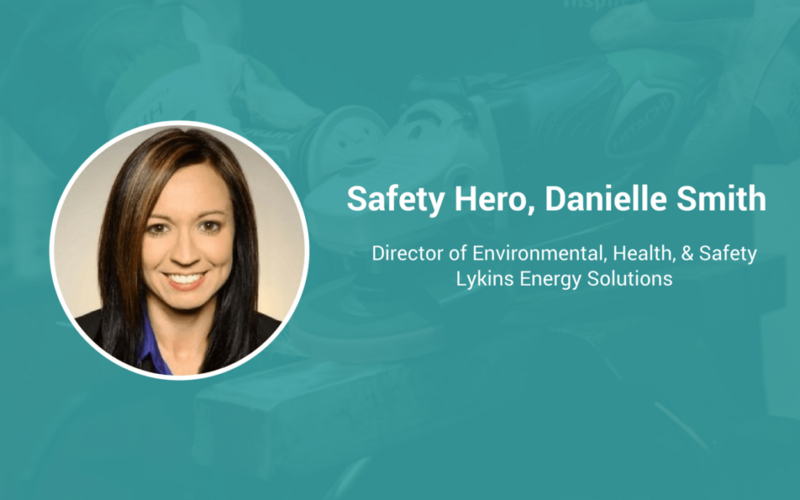 After years of working as an environmental remediation specialist and EHS engineer for several companies in the Ohio region, Danielle found a home at Lykin’s Energy Solutions where she serves as the Director of Environmental, Health, and Safety. After about 10 years in the business world, I felt the need for a change. Almost everyone in my family pursued a career in the sciences, so I thought I’d do the same. After getting my Master’s in Environmental, Health, and Safety, I began working as an Environmental Scientist. One thing led to another, my career blossomed, and now I’m managing safety for one of the largest energy providers in the region! Communication is absolutely essential for safety success. Whenever something occurs, safety personnel need to be aware of the activity so that they can provide proper guidance and care while ensuring nothing else goes wrong. The level of communication within an organization directly impacts our ability as safety professionals to improve organizational outcomes. I, unfortunately, experienced a fatality some time ago. It was just before I was to assume direct responsibility for safety operations and it jarred me. It showed me just how important our role as safety professionals is – that it’s quite literally a matter of life and death. It put my upcoming role into perspective and has made me a better safety professional. Safety professionals are there to keep everyone safe, not to be bossy or punitive. We are resources and are helpers to everyone at our companies. Our only goal is to keep people safe. I bring a lot of experience from my business career to my job as a safety professional. I can communicate with anyone in a way that resonates with them and gets them to perform at their best while working safely. I’d change the overall perception of safety from that of a punisher to that of a helper. Like I said before, we are here to help and when everyone realizes that, the workplace will become much safer as a whole.